Watch an introductory video for any of our modules to get a feel for how easy it is to take the course online. By signing up for the online trainings, which you can begin at anytime, you are eligible to attend (optional) any of the in-house trainings held in NYC with no extra fee. 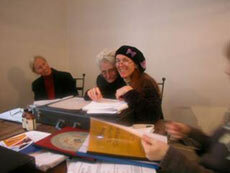 Our in-house training begins November each year in New York City. You have the option to study the modules online first, then attend our optional in house 4 day training in NYC in November. 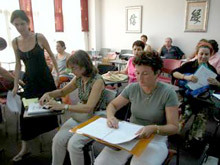 We at Feng Shui Seminars are pleased to offer online students virtual participation. Due to Roger Green not teaching as much in London, Europe, Sydney and in California, (after nearly 20 years!) we have created our ONLINE program. It's the perfect solution for those who wish to attend Roger's training in NYC but simply cannot make it due to distance and time constraints. Virtual participation is now an option! not to mention a green alternative for those who wish to reduce their carbon footprint by minimizing air travel. It is OPEN to all attend from all over the world. In order to make this life-changing experience available to as many participants as possible, we will be webcasting all module components in high-quality digital video. Each module held in New York is filmed and uploaded to our website page. You will be sent a secure coded link where you are able to view each 4 day module in your own timeframe. There are six - 4-day modules - spaced over approx 6-7 months. All six need to be completed for the Practitioner Certificate course. You have approx one month to view each module before the next one begins. All of the modules are available to review at any time over the length of the course. Questions are taken by email at the beginning of the next module. 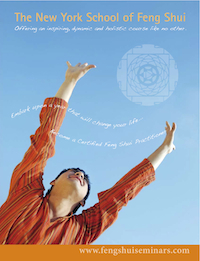 Our beautiful original extensive course workbooks are mailed to you before each module starts. Online students are welcome at any stage to attend any modules in NYC for no extra fee. Tuition fees are the same as in-house students. You can select just one module to train in if you wish- view fee structure below. It is more expensive to just train in one module, however some advanced students wish to do this.